I know I said earlier this month that I’m not heavy into pushing recruiting on my blog. I LOVE Stampin’ Up! and I love to share Stampin’ Up! with everyone and anyone who will listen, but sharing is what my focus is on. That said, I did mention that I was making an exception for the $99 Starter Kit promotion we’re having this month. The price is right, and the free Christmas Keepsake Project Kit is to die for! 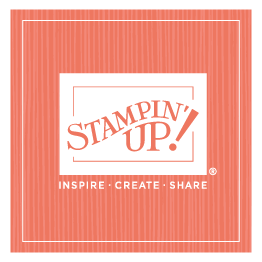 If you’ve ever thought about joining Stampin’ Up!, now is definitely the time . . . and if you’ve been a demonstrator before but aren’t anymore, we’d love you to come back! I mentioned in my earlier blog that Sara and I worked pretty closely on this project, so I just wanted to call it out one last time—the promotion ends on July 31, so time is ticking! I really do think this amazing project captures so much of what Stampin’ Up! is all about—the joy of creativity and the fun of getting together (the new recruit and her upline each receive a kit, so they can create it together!). And if you want, you can even create your project with me! We’re planning an online Christmas Keepsake Project Party. . .watch for more details! For now, check out this video I created for the last few days of this promotion, and consider joining Stampin’ Up! and sharing in the fun!